Use this to protect your homes, pools, docks, plants, trees, flowers & shrubs from Squirrels, rabbits, frogs & toads, ducks, geese, snakes, deer, raccoons, skunks, etc. Garden pests such as mealybugs, beetles, white flies, thrips, leaf-chewers, aphids, spider mites, snails & more! 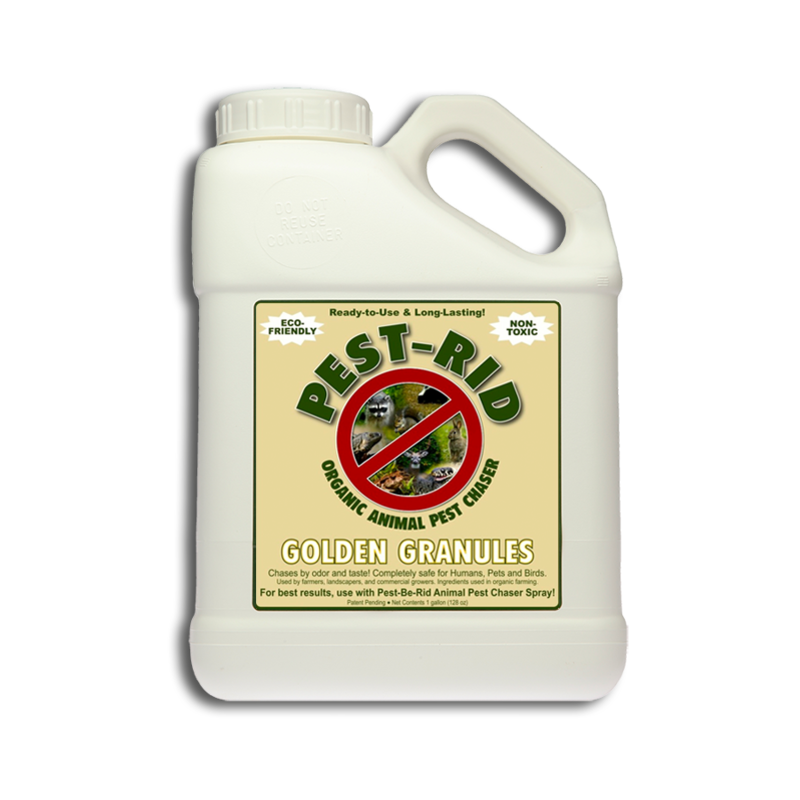 This is a ready to use, long-lasting product that can be spread generously around as a border, or as additional extended protection when used with Pest Rid Spray. 1. 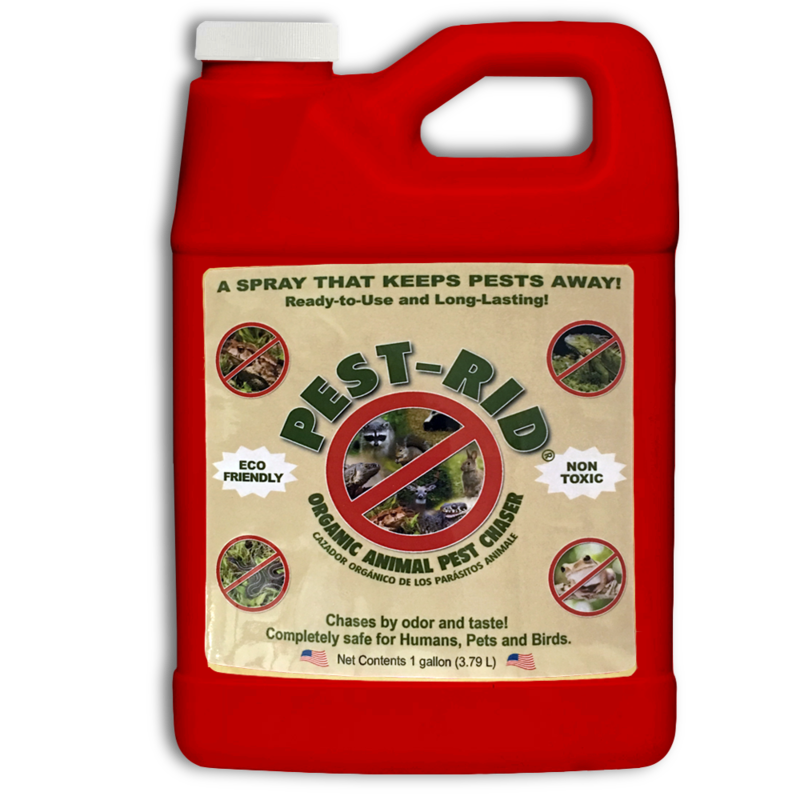 Spray PEST-RID thoroughly in all areas where animal pests bask, feed, are seen or there is evidence of their presence such as droppings, claw marks or chewed plants. 2. Spray or spread around trees, shrubs, flowers, vegetables, walkways, docks, roof tiles, pool decks, or any other areas where control is desired. 3. For optimum results on pool areas, docks, patios, seawalls, decks, and other large areas, a heavier saturation is required. 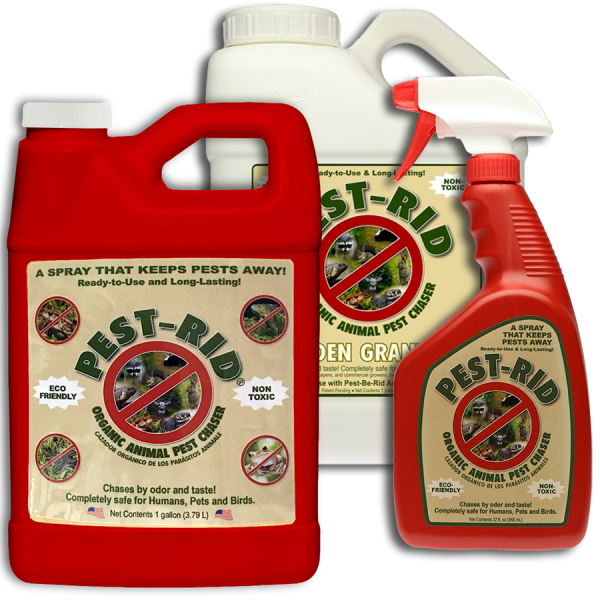 PEST-RID is not harmful, and works by producing an odor and taste which is disagreeable to a variety of home and garden animal pests. 4. 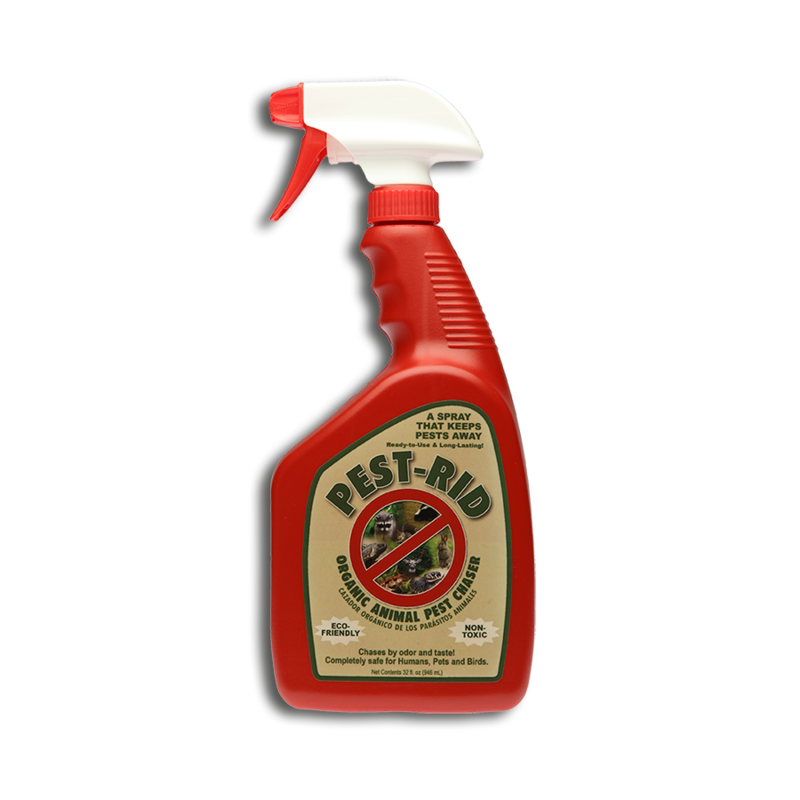 A second, light touch up spray is recommended 2-4 days after the initial liberal application to reinforce the message that pests are not welcome here.